EXECUTIVE SUMMARY: Versant Holdings manages an RN Residency program throughout hospitals in the US. The company migrated its complex multi-tenant SaaS system to AWS with CloudBasic. The Amazon cloud architecture included multiple redundancies and scalability options to support the large workloads of 365/24/7 multi-hospital environment. As Versant grew more and more dependent on its SaaS platform, the reliance on the infrastructure of a single public cloud provider became a concern. With the help of CloudBasic RDS365 for Google Cloud, an intercloud server replication tool, the company was able to resolve the issue and build a reliable backup system on the infrastructure of an alternative public cloud. Versant Holdings, originally formed by Children’s Hospital Los Angeles, manages an RN Residency program throughout a network of hospitals in the United States. Its mission is to fundamentally improve the quality of patient care through developing and sustaining professional nursing organizations. The organization experienced rapid growth and an increased demand for IT resources, which prompted the transition of its systems to the cloud. 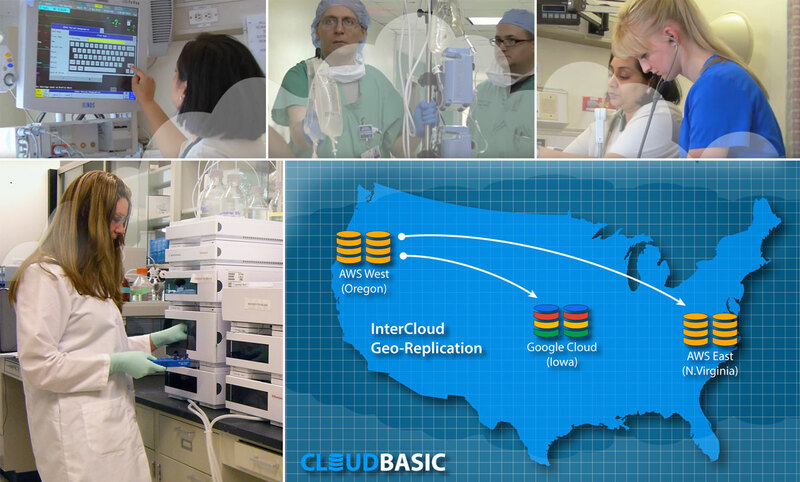 With the help of CloudBasic, Versant Holdings migrated a complex multi-tenant SaaS system to AWS, deploying cloud architecture to support the large workloads of Versant's 24/7 multi-hospital environment. The AWS cloud platform has become the undisputed leader in the public cloud industry. It commands the largest market share by far, and with a huge head start over all other public cloud providers, it continues to grow at a hectic pace. Such a dominant market position brings some service benefits to enterprise customers; however, it has some drawbacks as well. The lack of strong IaaS competition can be a worrisome industry development. In Versant's case, the Management was gradually becoming aware of a new type of IT vulnerability, which is the possibility of a cloud provider lock-in. Regardless of the cross-region DR systems in place, the dependence on the cloud infrastructure of only one provider is not a comforting situation, considering the potential for cost increases, as well as a hypothetical infrastructure level system disturbance. The company already has drastically lowered costs by replacing the AWS Multi-AZ option with the AWS version of CloudBasic SQL Server Geo-Replicate for in-cloud West to East coast DR. While Versant currently has no intention of abandoning its state of the art cloud deployment on AWS, it wanted to explore viable backup options on alternative public clouds. Fortunately, the industry landscape is evolving, and other strong public cloud providers are emerging as viable alternatives to AWS. Both Microsoft Azure and Google Cloud offer mature cloud infrastructure options for enterprise customers. 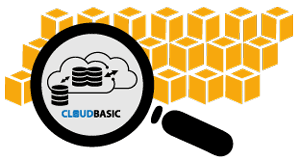 CloudBasic RDS 365 takes Geo-Replication to the next level and is the perfect tool for customers who want to avoid AWS lock-in. Versant took advantage of RDS365 for Google Cloud - a fully managed Relational Database Service (RDS) which comes with standard capabilities to mirror AWS RDS. It was specifically designed to be an enterprise product with InterCloud VPN tunneling capabilities, allowing enterprises to leverage the #3 cloud provider as a backup, fail-over cloud. Its mirroring engine for SQL Server has been tested with enterprises in AWS Geo-Replication and hybrid scenarios for about 2 years, while support for Oracle, MySQL, PostgreSQL is in the works. With the help of CloudBasic RDS365 for Google Cloud, a robust intercloud server replication tool, Versant does not have to rely on a single public cloud provider, and has built a reliable backup system on the infrastructure of an alternative public cloud. The result is a state-of-the-art InterCloud infrastructure with the benefits of multi cloud redundancy, and reliable means to avoid cloud provider lock-in. CloudBasic's RDS365 for Google adheres to enterprise level security standards. It makes it easy to establish Google-to-AWS VPN dual tunnels utilizing the respective cloud providers' VPN capabilities.